Don't pay $0.99 per ringtone from a limited selection offered by the music studios. Create your own ringtones on your iPhone. 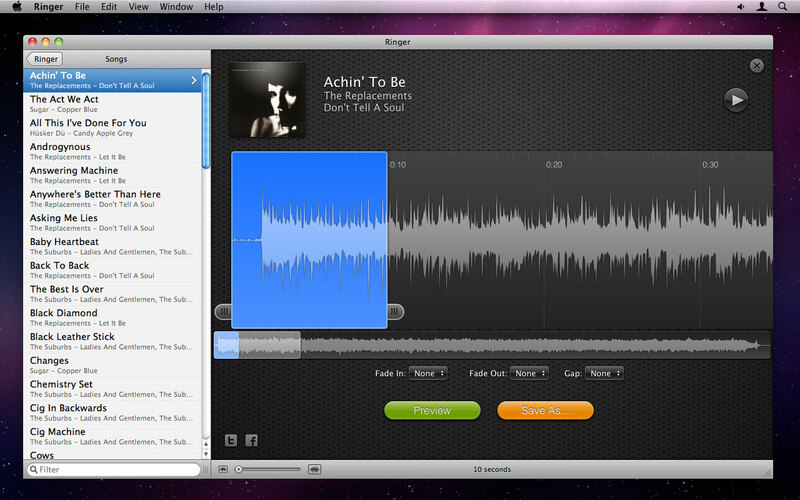 Create unlimited ringtones from any unprotected song in your music library. 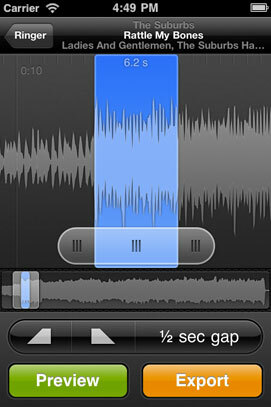 See the waveform for your song so you can quickly find and select just the right part for your ringtone. Select the fade in, fade out and gap length to make the ringtone sound exactly as you want. Auto volume control ensures that even quiet sections of your song will be loud enough for a ringtone. © 2012 Ringer. A Pixel Research Labs app.